Susan Rayment-McHugh is a lecturer in Criminology and Justice and co-leader of USC’s Sexual Violence Research and Prevention Unit. She is also a forensic practitioner with over 25 years’ clinical and research experience in the sexual violence and abuse fields. Prior to moving to an academic role, she held leadership positions at Griffith University’s Griffith Youth Forensic Service and Neighborhood's Project, focused on responding to and preventing youth sexual violence and abuse. Susan has a coherent body of applied research with a focus on policy and practice implications. 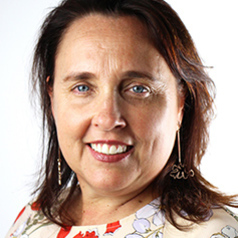 Her current clinical and research focus is on understanding and preventing sexual violence and abuse, including in Australian Indigenous communities and youth-serving institutions, and on program evaluation using realist methods. She is widely consulted and presents nationally and internationally, on prevention and intervention services.